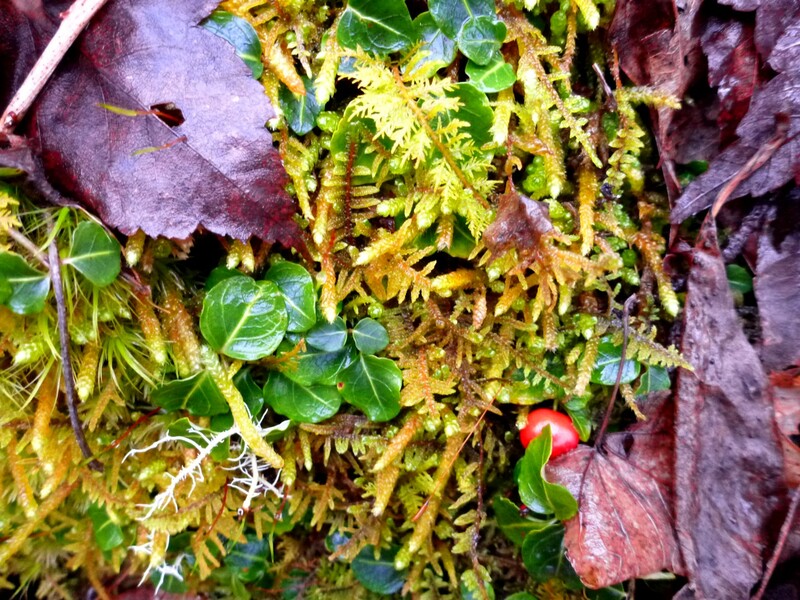 Posted by Jenny in hiking, Life experience, Lifestyle, memoir, White Mountains. 1. My landlord told me he is going to sell the house. He’d mentioned the possibility a while back, but now I need to be out in June. 2. A short way into a hike to the Lester Prong headwaters to commemorate my mentor, Charlie Klabunde, my knee gave out (again) and I had to turn back. 3. I had a serious disagreement with a director of the Smoky Mountains Hiking Club and resigned my position as newsletter editor. 4. My sister in Massachusetts, who is battling mental illness, had a crisis and went into a group home for a “respite,” as they call it. The upshot: I have decided to return to New England, where I can be closer to my sister and try to help her out. Last week was pretty terrible, the nights worse than the days: insomniac hours, waking up with a sudden jolt of anxiety. But I have come through the worst of it, and now I have moved into a new phase of this transition. My insomnia now takes the form of sudden bouts of feverish planning at 3:00 in the morning. Last night, in the middle of the night, I decided I will move to St. Johnsbury, Vermont. But let’s back up for a moment. 1. The house. 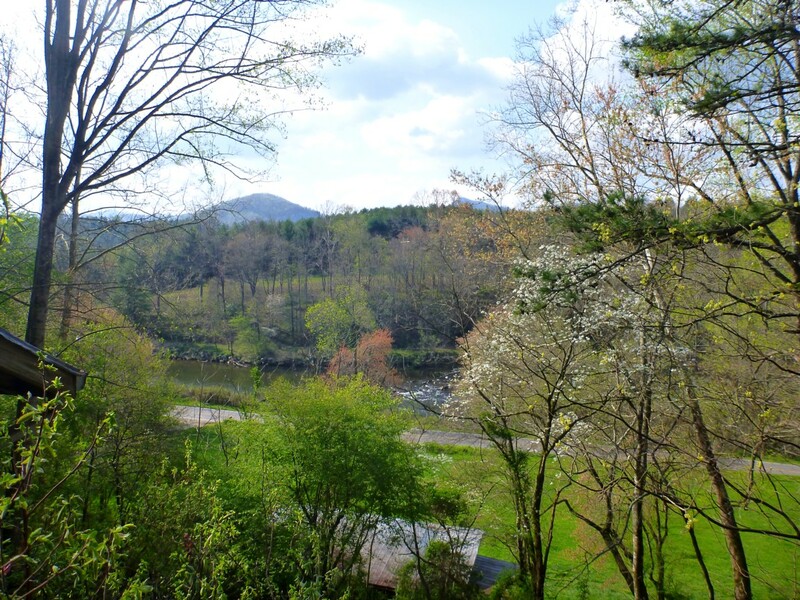 This is a beautiful place that overlooks the Tuckasegee River in Sylva, NC. The person who built it, back in the 70s, was a carpenter with a creative spirit. It has all kinds of nice touches, like the real Portuguese tiles in the kitchen and the railings upstairs fashioned from twisting branches. It does have its problems, such as the steep narrow driveway. And after all those years, it needs repairs. But I am fond of it. House as seen from the driveway. 2. The knee. I’ve had this problem of a dislocation of the joint for quite a while now. It flared up three years ago, got better for a while, and then went down the tubes this year. Looks like surgery is needed. I will need someone to help me in the recovery period. The treatment consists of placing a pin in the joint, and the leg is immobilized for several weeks in a cast. I have an old friend in Vermont who can help me. 3. The SMHC dispute. Ever since I took over the newsletter editor duty (after Charlie became too ill to do it), I’ve also been the resident curmudgeon (Charlie had played that role as well). I’ve advocated for preserving the traditional ways of the club—especially maintaining a program of challenging off-trail hikes. But the trend has been toward making everything easier, more accessible. The issue extends beyond the hikes themselves to things like whether we wait for latecomers at the carpool spot. My opinion is, we never used to. Why should we now? I need more space to explain my seemingly unfriendly position. I’ll follow up in my next blog post. 4. I would truly like to give my sister more support. But I don’t want to live in Northampton. It’s cluttered, it’s busy. I’ve gotten used to listening to the sound of the river running over the rapids. Noho’s too urban for me. Also probably too expensive for me to buy a house, which I want to do when I’m back in the area. I thought of the I-91 corridor, which hits the Connecticut River Valley in Hartford, Connecticut, and follows it on up through Springfield Mass., Northampton Mass., Brattleboro Vermont, and up as far as St. Johnsbury Vermont, not all that far from the river’s headwaters. There the highway diverges and runs toward Sherbrook, Quebec. First I considered moving to Brattleboro, or possibly west of there in the Mount Snow area, located on an interesting high plateau of central southern Vermont (A.T. hikers know it for Glastonbury and Stratton Bald). But that area can get pretty expensive, too, and nothing about it pulls me there. Then I started homing in on St. Johnsbury. It’s the biggest town in what’s known as Vermont’s Northeast Kingdom. That consists of Caledonia, Essex, and Orleans Counties. 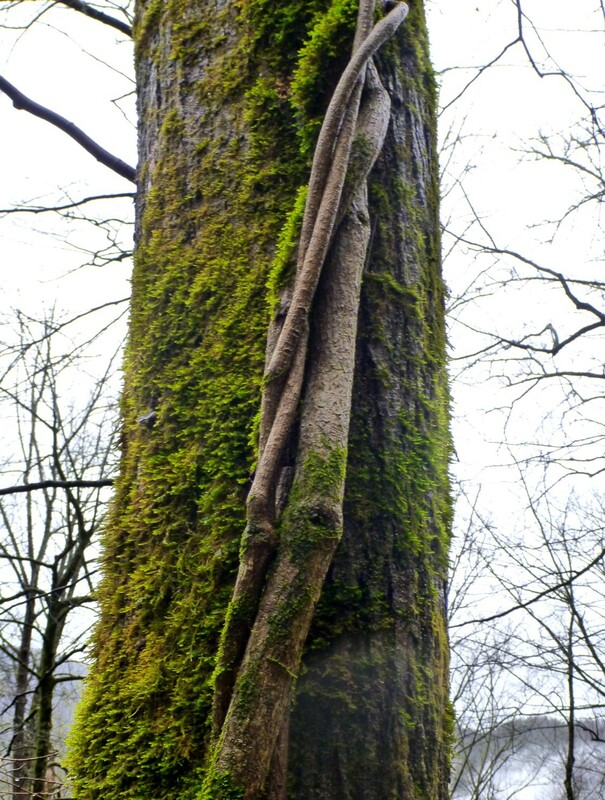 It has odd parallels with Sylva. Populations in both run only around 7,000, but both are the largest town in their county. And both are located near major mountain ranges. 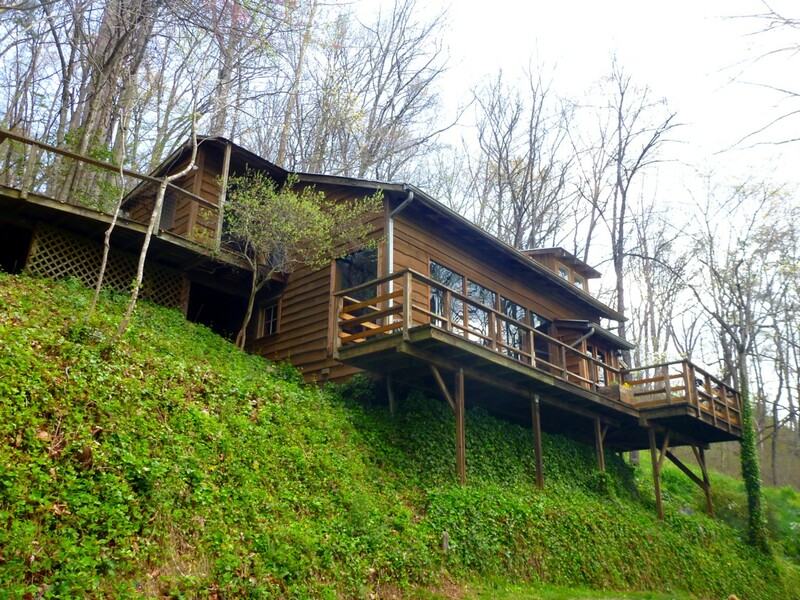 Sylva is close to the Smokies. 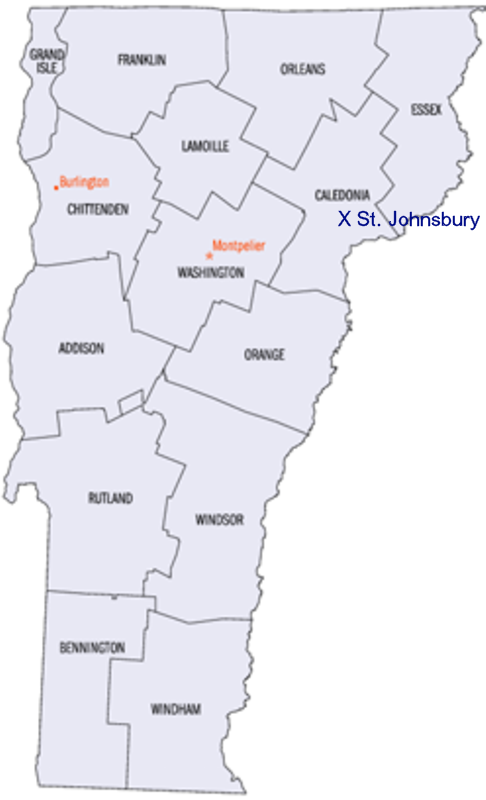 St. Johnsbury is not all that far from the White Mountains, in particular the Presidential Range that includes Mt. Washington. You may be thinking, “But Vermont means Green Mountains, not White Mountains.” Bear in mind that St. Johnsbury is in the eastern part of the state, just across the Connecticut River from New Hampshire. Within Vermont, it is close to the incredible Lake Willoughby, a narrow glacial lake 320′ deep that is framed by the dramatic slopes of Mt. Pisgah and Mt. Hor. I’ve been there many times. 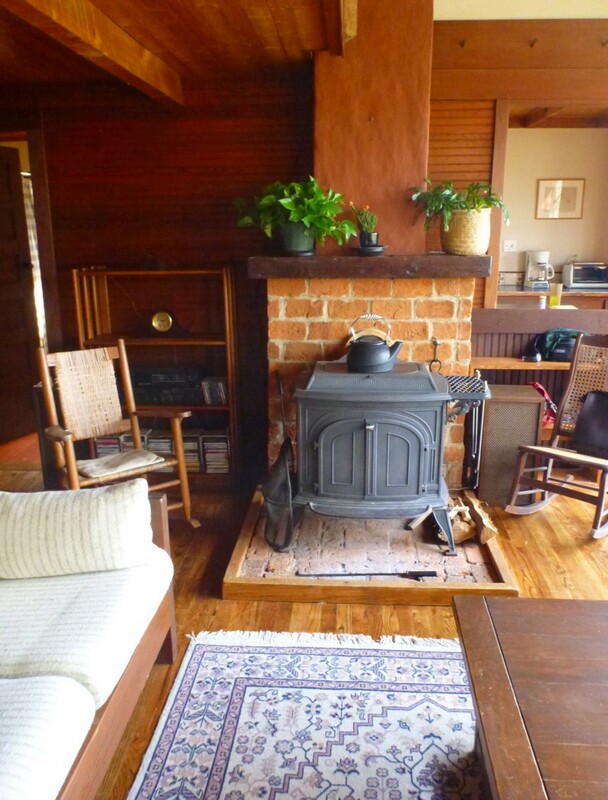 Yesterday, gripped by the idea of St. Johnsbury, I researched the cost of housing. Looks like the area is in something of a real estate slump. The average price has been dropping, and houses have been on the market for long periods. Good news for buyers! I could purchase a nice little well-kept up Cape on a 0.76 acre lot for $70,000. St. Johnsbury is too far north to be part of the trendy, touristy parts of Vermont invaded by leaf-peepers wanting to stay in quaint B & Bs, buy maple syrup, and look at covered bridges. Oh, it does get tourists, but nothing like the numbers that seasonally migrate to Manchester or Bennington. 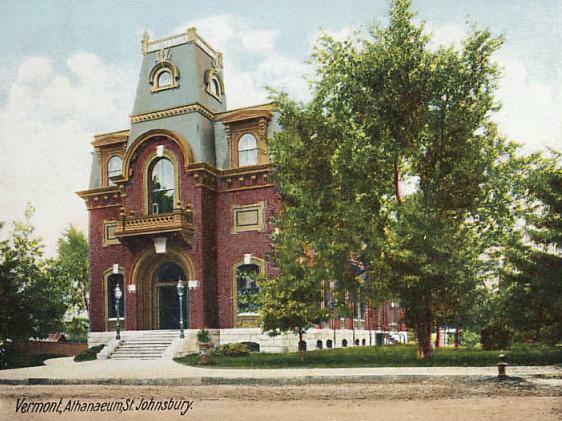 Plus, it has the Athenaeum and the historic St. Johns Academy. The Athenaeum contains major paintings of the Hudson River School, a legacy of the local Fairbanks family. They made their money from inventing and manufacturing the world’s first platform scale in the mid-1800s. It will be a straight shot down I-91 to visit my sister, a drive of 2.5 hours. North of White River Junction, the drive is on nearly empty highway. I could easily get to Northampton and back in a day, or go down for a weekend. I could stay there for an extended period. I know some people might think, “Two and a half hours? That’s too far.” I can only say that this is the place that inspires me, and I badly need inspiration. I am giving up the Smokies. I can’t even afford to dwell on the loss these days. Instead, I will have the Presidential Range and Mt. Washington. And big forests full of moose, and ponds with loons, and glacial ravines. 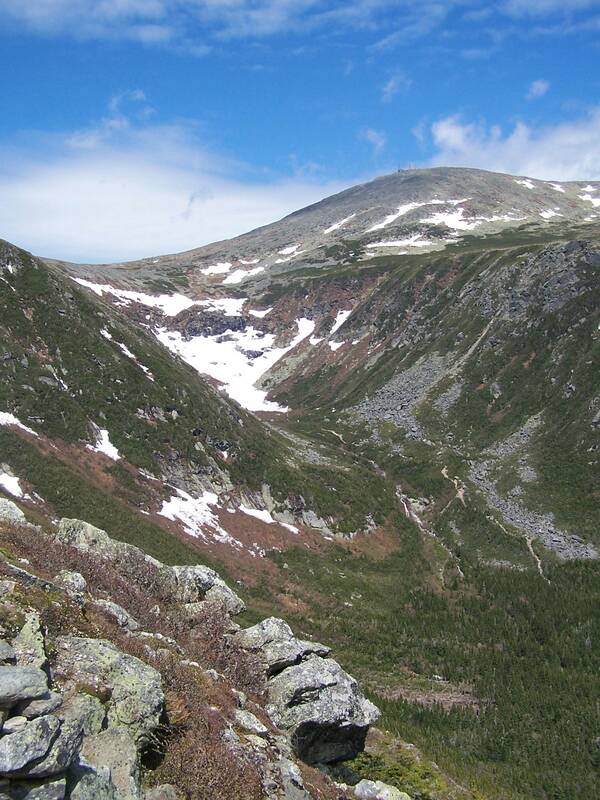 Tuckerman Ravine as seen from Boott Spur Link. 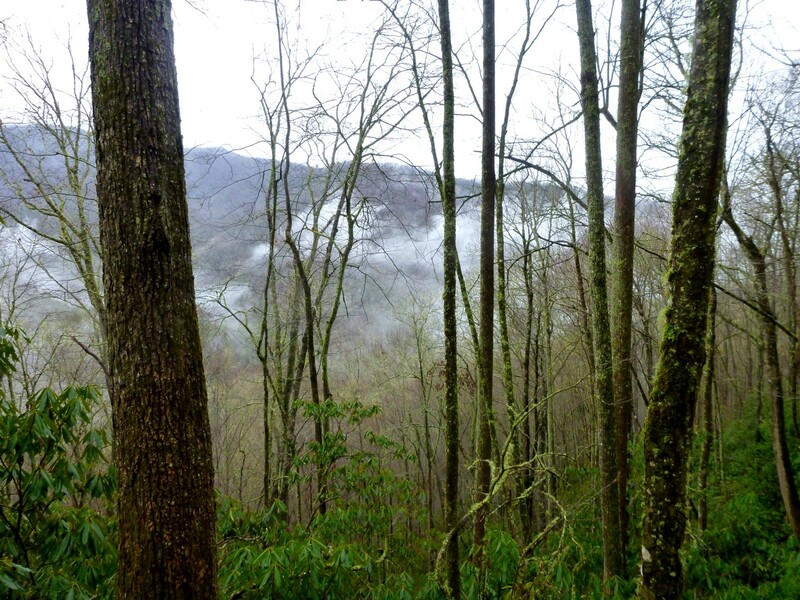 Posted by Jenny in hiking, Life experience, nature, Smoky Mountains. Warning! This post does not feature any exciting adventures. 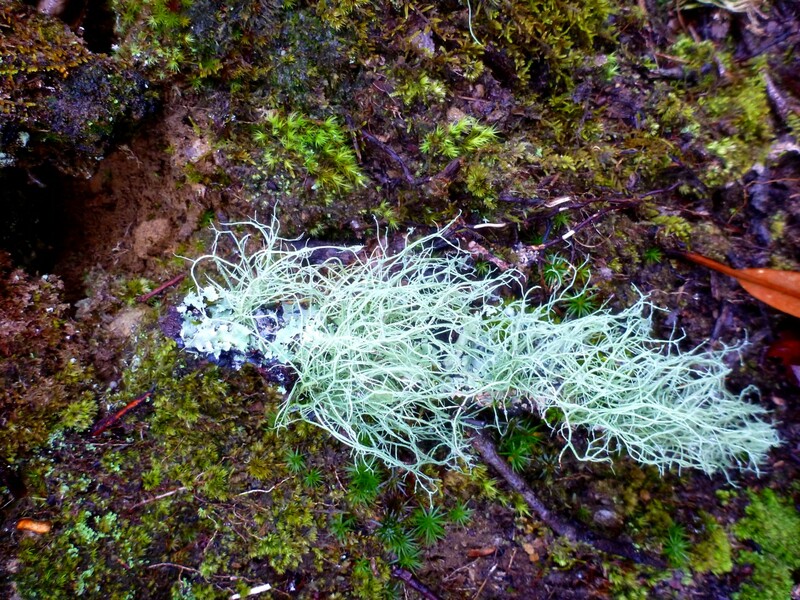 It addresses micro-aspects of the forest. We had a bout of bad weather the second half of February, and then I was laid up for about ten days with a knee problem. This week I’ve been getting back into my routine of exercise hikes. Today, rain was falling through the morning with a steady patter. It was hard to motivate myself to get out, but I decided on a goal: I would go to the Newton Bald trail in search of hepatica in bloom. In past years I have seen it along that trail in early spring. 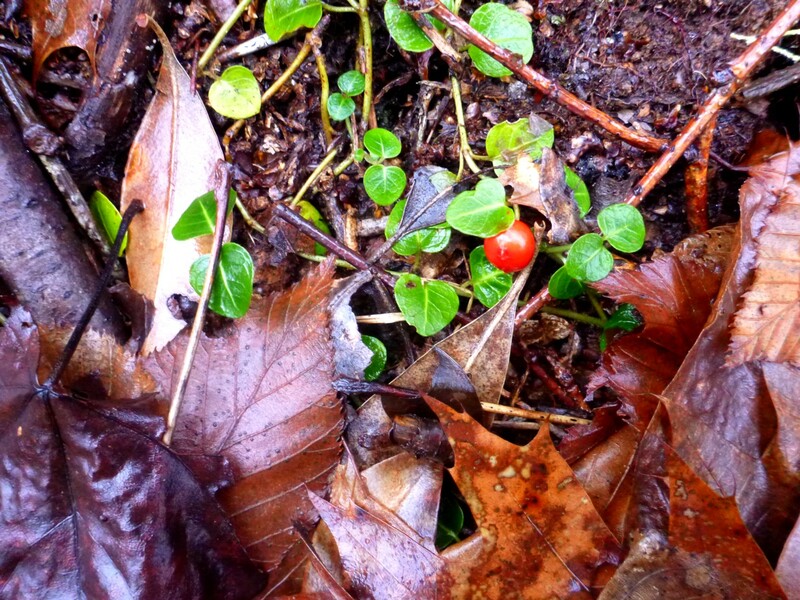 Well, I found hepatica, but it wasn’t blooming yet. Ha, ha! Now that I think about it, I realize this post could be considered an essay on the experience of an anti-adventure… But those of you who are still with me will find here a small photo gallery of things not always noticed in the forest. As I drove to the trailhead, the rain came down harder and harder. However, the temperature was in the upper 50s, and I knew I wouldn’t mind getting wet if I didn’t get chilled. The rain tapered off as I climbed. I went up the trail only to a point that I have previously measured as a 1400′ elevation gain. The hepatica zone is below that point, so I turned around there to give things a more careful look. I found that I had indeed walked past a sprinkling of hepatica. No blossoms, but the leaves are pretty. 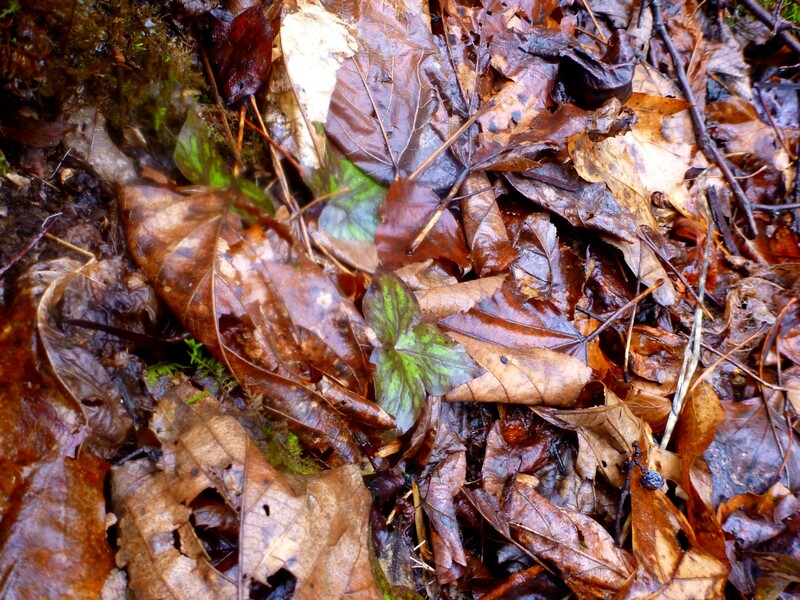 The hepatica leaves are green with stripes and have three lobes. 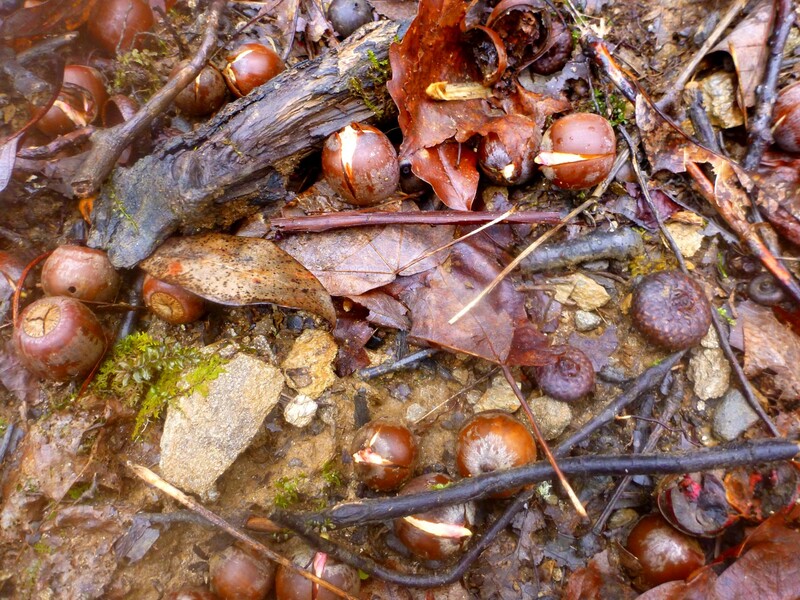 The previous year’s leaves last through the winter, and new ones start to form in early spring. The rain clouds were dissipating into the smoke-like streamers that give the Smoky Mountains their name. “Smoke” drifts across the mountains. 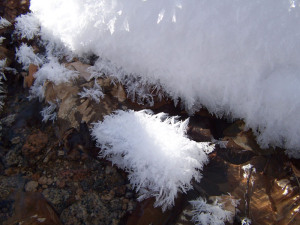 You have to compare it with the Frost Tribble I encountered on a very cold hike in New Hampshire. 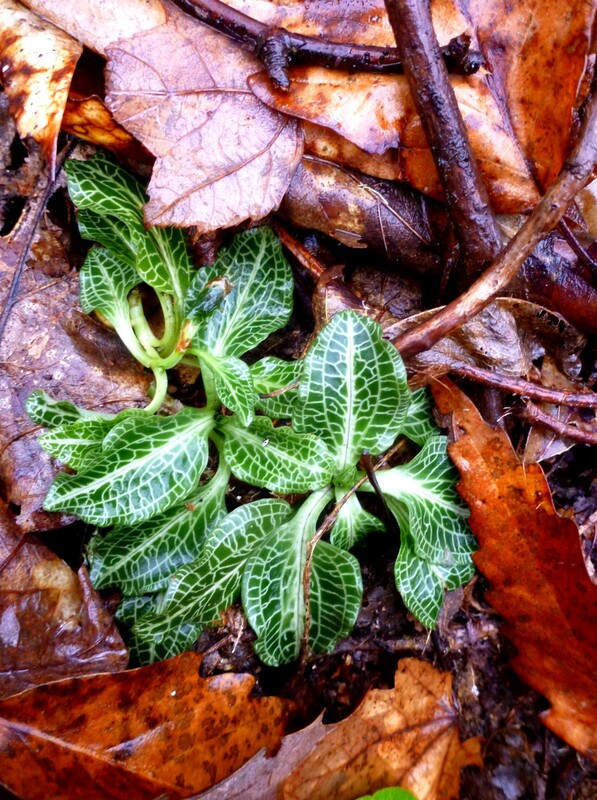 The leaves of rattlesnake plantain are just as pretty as the hepatica leaves. 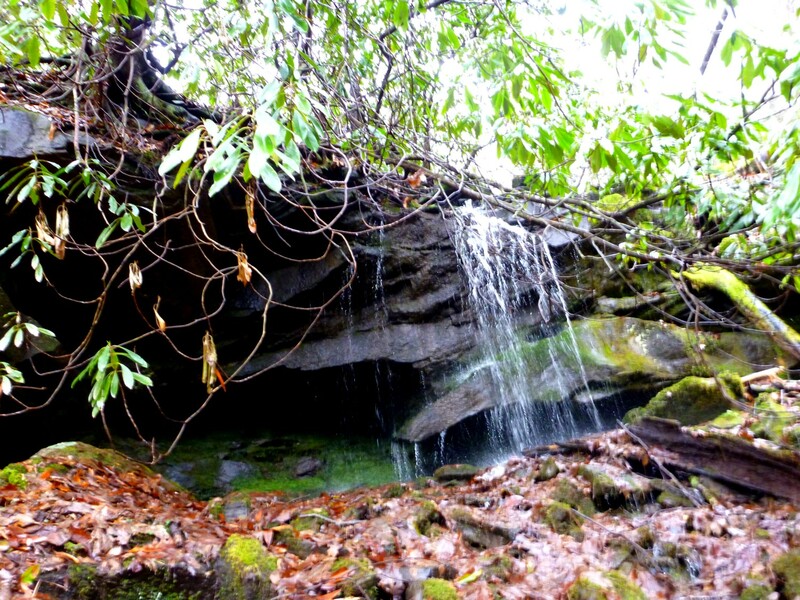 A small cascade upstream of the trail can be reached with a short bushwhack. Although it doesn’t amount to much in dry weather, it was pretty today. One of the nicest features is the assortment of rocks where the little rivulet intersects the trail. They are stacked up in such a way that they form an echo chamber, magnifying the sound of the water. And so a pleasant, low-key hike came to an end.